Changes usually take time after maintenance, that is what surprised people. We are paying and when i pay for a service, i expect the service, not hope for service. Do you go to restaurants and hope to get served ? In short, already 13 hours passed since 7th november started, people have work, duties,family an so on, so if you are not willing to respect your customers, at least respect our life time. Also this is another reason ppl think something went wrong on maintenance. marsic1 and 1Shadow9Fists like this. 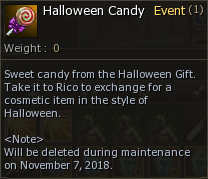 ppl have lantern item in inventory / still sell candy and even transform is On - what did they do in maintenance ? erm...seeing as new comers, such as me, missed out on 3 years of loop macro xp i think a store with those runes and scrolls will be sweet. mate, as long as we're not seeing blessed enchant scrolls and cp pots we are more than fine..
we complain and complained and look. You are paying to access a server, nothing more, nothing less. As far as I know, you can access the server at this time. I dont understand one thing. You advertise from 7th November new packs for new players, 1 week free subscription, etc., so normally ppl expect that it will be working after maitenance. What a surprise that almost northing is working...again. You want to bring ppl back to your server and you are even not able to secure that everything will be working as promised after maitenance. Ppl making new accounts for this, taking nicknames they wish to have and after logging in game....just nothing working as promised. Do you expect ppl will come back to your server if you are so incompetent so make things working? You should realize this is p2p server and your service to your customers should be on much higher level than on f2p servers... Any official info when all will be working as intended???? Innova is not selling Access to a server But access to a game and its contents But you know what, im not going to reply to admins anymore bacause you are the worst mannered admins i ever talk to. He is forum moderator ffs. Anyway, when 7 days and shop will be active? 1. yes they exists, but can only be obtained as a random reward through Clan Arena. So don't really count on it. Well I played from C1 - GOD and I never seen or heard of anyone dropping there main hand wep when they had it equiped, everything else sure but not that. So no I dont think it's apart of classic not the classic I remember. It's a shame to because thats the only thing putting me off, I dont want to make sure i go out only with a party I like to solo and losing a gun can be game over. Oh well!! The item dropping by getting killed from mobs was until c3 and yes even if its equiped ( never mattered if u had items equipped even on pk drops ). Show me the patch notes which says in c1/c2 An equiped weapon can drop. NOT items from your inventory. @Artchem, If you follow the discussions here please try your best to make 7days free to happen today or tomorrow. There are a lot of ppl who waited for that to try the server. I understand there might be technical difficulties, but having in mind the server's state it would be best for it to deliver these free days as soon as possible. Given that it has 1.5 event right now all newcomers (who waited for the 7 free days to try out) will have more time to use the event to catch up. Ion16 and Troy like this. I started playing 1 or so week ago, but stopped due to this announcement, even if I managed to level 3 chars to 30. 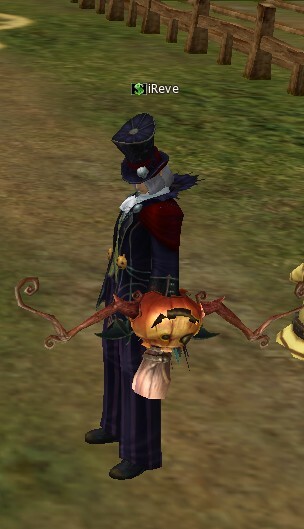 Starting new chars with this update, seems better because of ( if I understand correctly ) the 30 days C grade weapon. So , did we got that with the update ? So , now .. where is the shop in 4game launcher? You still have to buy a sub there is no 7 days free and it says 25 euro instead of 20 euro on the launcher if you want to pick the 3 months. Just a side note, as you have to use the launcher now, would it not be better to get the websites install to point to the launcher download first? Talk about making it more confusing than needed. So you download the game > then have to find the launcher download > tell the launcher where the game is installed. Yumi it will be rly nice if Innova staff start answering to people question instead waiting someone from player base do Innova's job. marsic1 and AquaMarine like this.